A Celtic wedding guest book is the perfect way to capture all of the memories from your Irish wedding. While guest books aren't essential to having a great wedding day, they do help to preserve the memory of who attended your wedding. Friends and family really like to share their happiness and best wishes for your on your big day. Guest books come in many shapes and sizes, but if you are having an Irish wedding you will most likely want to choose a guest book with an Irish theme. You will also want to provide a pen for your guest to use when signing. Check to make sure the guest book you purchase comes with a pen, or buy one separately. 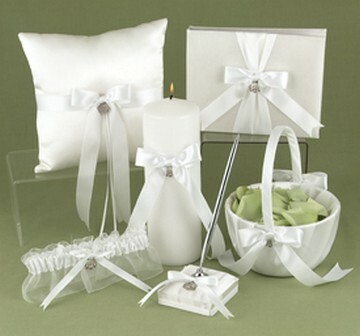 In addition to your guest book, look for matching unity candles, ring pillows and flower baskets. You can buy a collection that has all of these items, or you can also buy them separately. 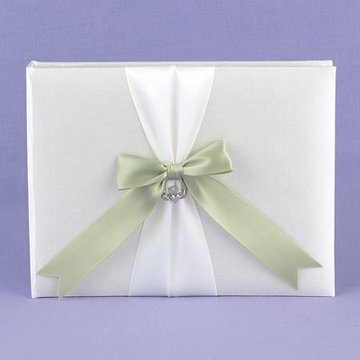 Below you will find examples of guest books for your wedding.